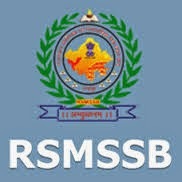 RSMSSB Recruitment 2015: The Rajasthan Subordinate and Ministerial Service Selection Board, was announced the recruitment notification for the Women Supervisor 132 Posts. All of the eligible candidates visit the official website at rsmssb.rajasthan.gov.in and then apply the online application. We have issued the detailed notification of this recruitment and direct application registration link on this page. So interested female candidates may apply the RSMSSB recruitment before the last date (May 29th, 2015) of the application. The female candidates who are looking the job in the state of the Rajasthan and they can use the good opportunity. The candidate should be complete the Graduation in any discipline from a recognized University/Institute or equivalent qualification with knowledge of Devanagari Lipi Hindi and culture of the Rajasthan state. Candidate's age limit must be more than 18 years and not more than 32 years as on 01.05.2015. Age relaxation available for the candidates as per the rules. The selected candidate will be getting the monthly salary range Rs. 5200/- to Rs. 20200/- with Grade pay Rs. 2400. The selection of the candidates is based upon the performance in the written examination. This exam will be held in the month of Sep/Aug 2015. The application fees for the OBC and SEBC candidates should have to pay Rs. 350/- and Non-Creamy candidate of OBC/SEBC need to pay Rs. 250/- and other category candidate SC/ST must pay Rs. 150/- for the application fees. The eligible female candidate goes to visit the official site and then enter your details while click the submit button to apply the online application registration. The payment of the application fees, though the online payment mode Credit/Debit/Net Banking.